Just before Rod Stewart went supernova, the Faces released their last album Ooh La La. It was 1973, and the title track was a most worthy swansong. Written by the two Ronnies, the song’s lead vocals were unusually provided by the rolling Mr. Wood. Have a great weekend. It’s a bank holiday weekend in Blighty and I can’t think of a better way to celebrate than including Gloria Ann Taylor’s ‘Love Is a Hurtin’ Thing’. Remixed by husband Walter Whisenhunt, this seven-minute version also comprises sections of previous singles ‘How Can You Say It’ and ‘Music’. The mix features some stirring keyboards, wah-wah guitar, a wayward drum beat, Philly-like orchestration and a severe groove. Ending the week on a high note. One of my fave Lennon tracks… have a great weekend. During his 8-year tenure at Hi Records, Johnson released records in the shadows of both Al Green and Ann Peebles. But within his canon, there were some real soul gems. Off his 1973 LP Back For A Taste Of Your Love, ‘I Hate I Walked Away’ is such an example – smooth vocals with an incredible string instrumentation. Syl is a fine way to usher in the holidays, when I’ll be taking a hiatus. Back in a week or so. Until then. Happy Easter. If it was not for the Lamb Lies Down, 1973’s Selling England By The Pound would be Genesis’s finest album. And in amongst the epic prog outs (Firth Of Fifth, The Cinema Show…) there is this four minute pop classic. ‘I Know What I Like’ notably features another of Peter Gabriel’s slacker anti-heroes, a sitar, a flute and Phil Collins doing a pretty good job on the drums. Eumir Deodato Almeida’s interpretation of Richard Strauss’s ‘Also sprach Zarathustra’ is a classic jazz funk workout. 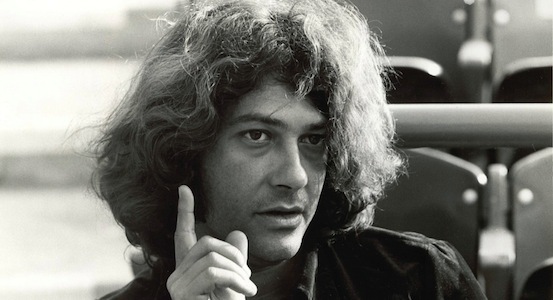 The general public had become familiar enough with the underlying fanfare theme due to its use in Stanley Kubrick’s 1968 film 2001: A Space Odyssey – so much so that Deodato’s Latin arrangement, released on CTI, sold by the bucket. Have a great week. This weekend, we had a dinner conversation about desert island discs. A friend spoke of Sly’s vocal treatment on “If You Want Me To Stay”. It was a game changer in funk circles, helped out by Larry Graham’s incredible bass line. The song was off the long player Fresh – a giant among funk albums. ‘Sad Song’ provides an epic and welcome end to the saddest of albums – Lou Reed’s Berlin.